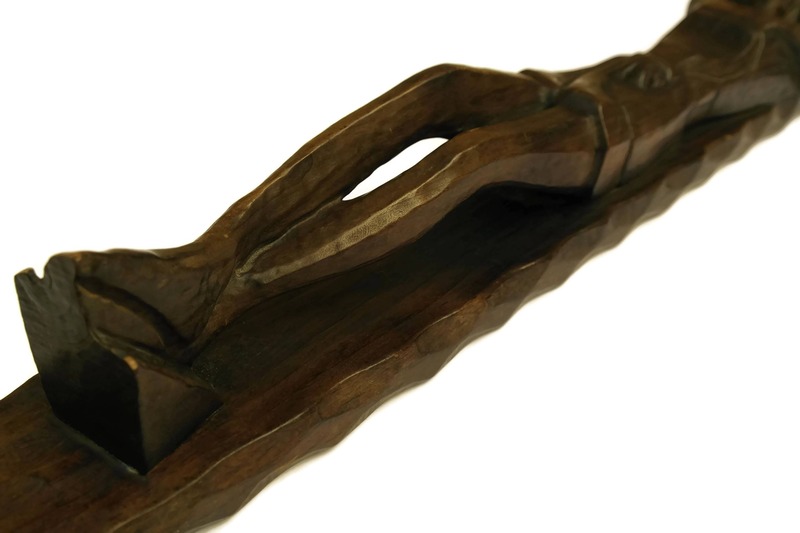 Carved Wood Crucifix. 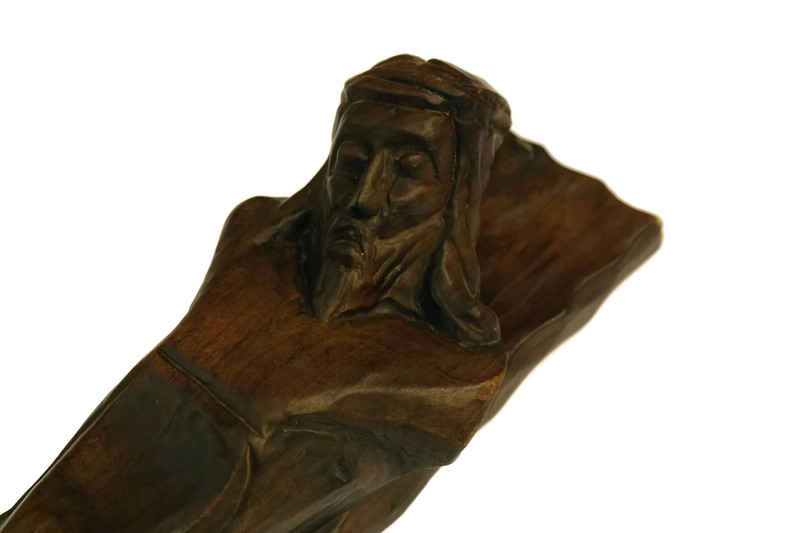 Vintage Jesus Wall Hanging. Religious Art Statue. 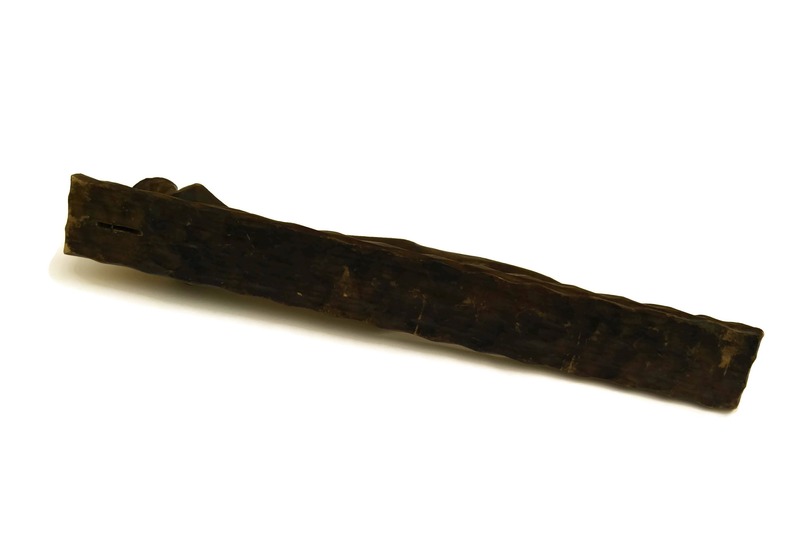 French Religious Decor. Stylized Modern Christian Art. 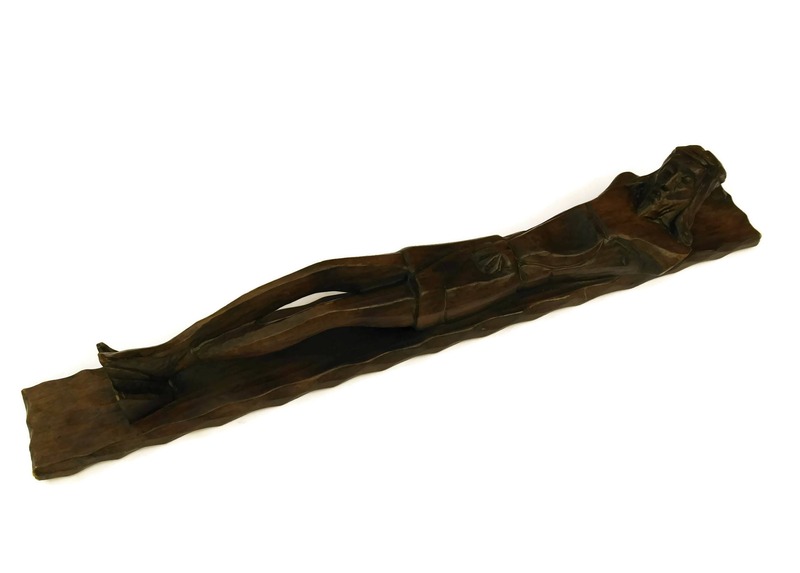 A stunning carved wood crucifix dating to the 1950s. 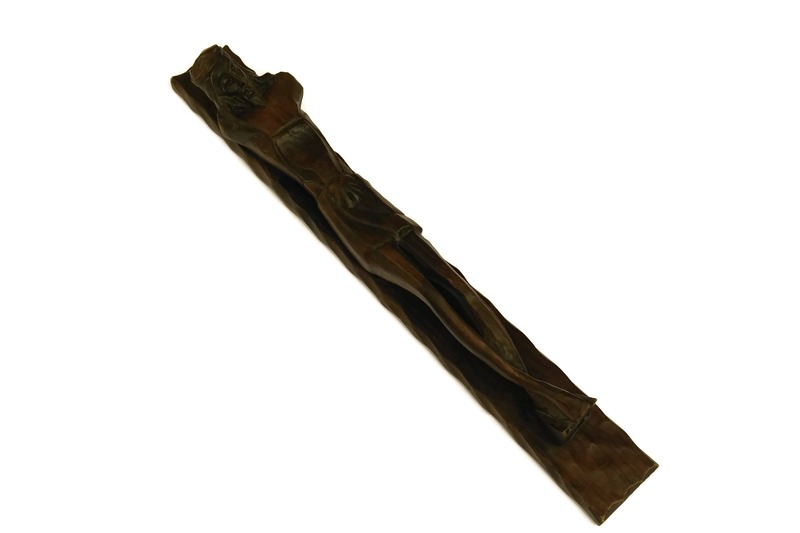 The large vintage wall hanging features a stylized modern figure of Jesus on the cross. 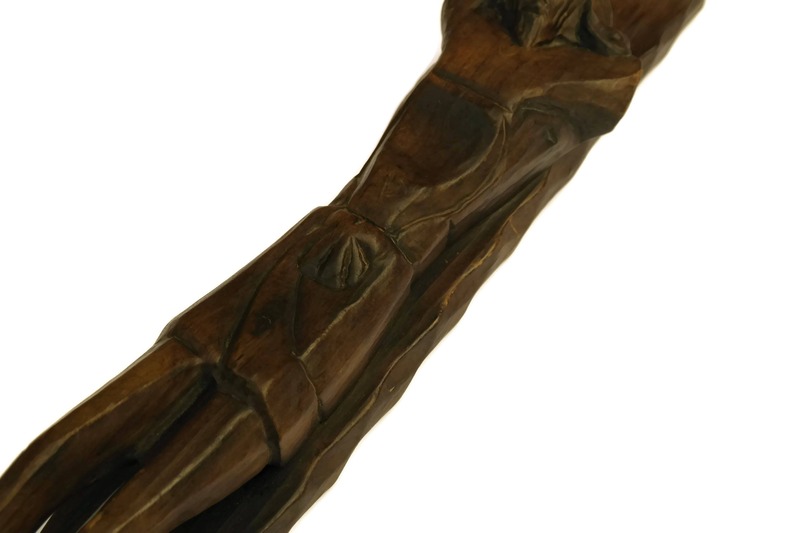 The French statue represents only the centre section of the traditional crucifix without showing the horizontal section of the Cross and the arms of the Christ. 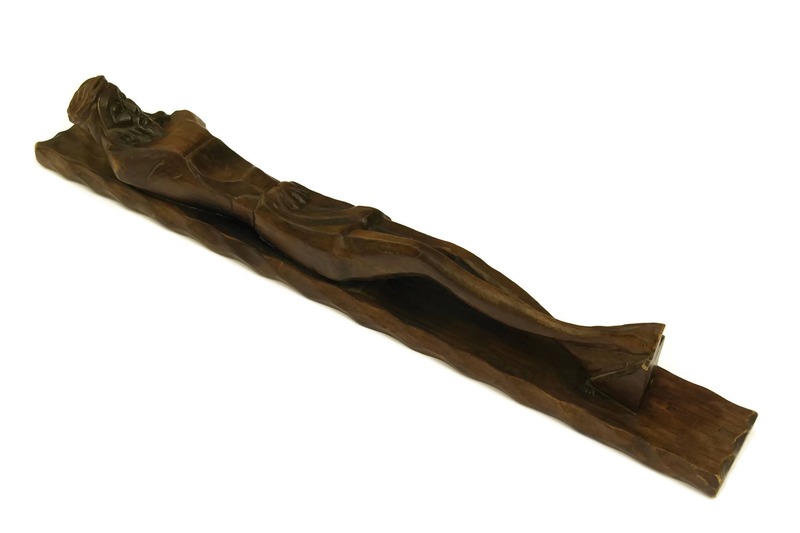 The art piece has been hand carved with exceptional details and would make a bold statement to your religious decor. 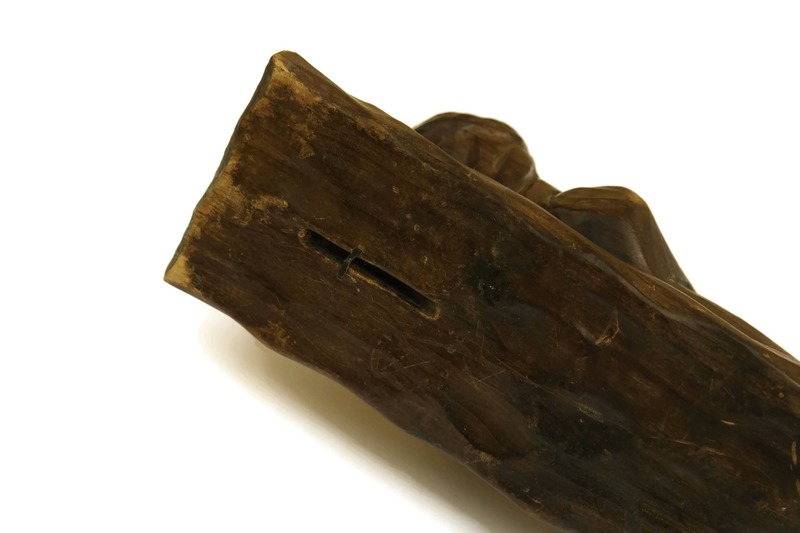 The statue has a hanging slot and hook on the reverse side. It has not been signed. 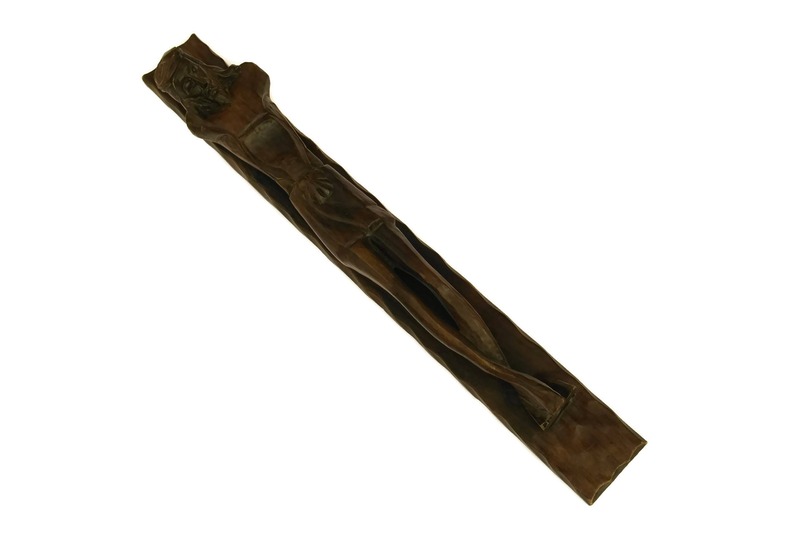 The mid century crucifix is 27" Long, 4" Wide and 4" Deep (68 cm x 10 cm x 10 cm). 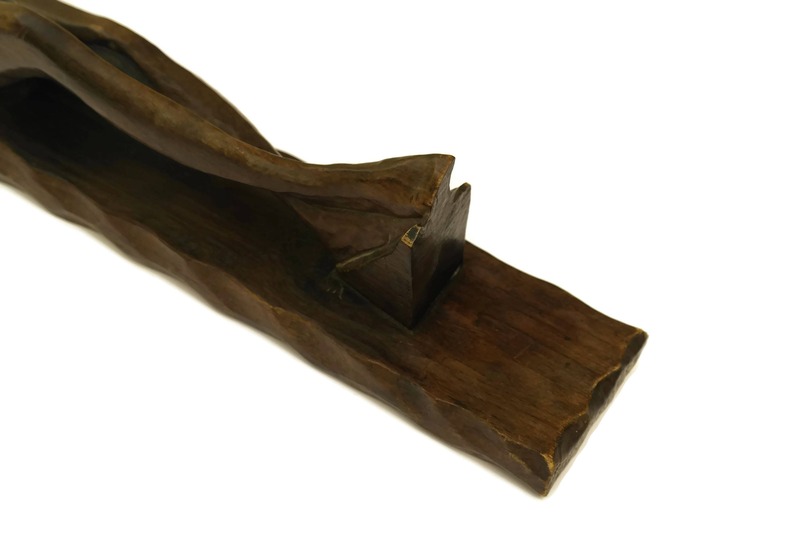 The wall hanging is in very good condition with patina and light surface marks and wear to the wood.